Meghalaya government is considering to create a “Farmers’ Commission” to address the concerns of the farming community and look at solution to tackle the problems being faced by them. It was informed by the Chief Minister Conrad Sangma while attending the state’s first Farmers’ Parliament held to understand the plight of the farming community and assist them through different pro-active policies. 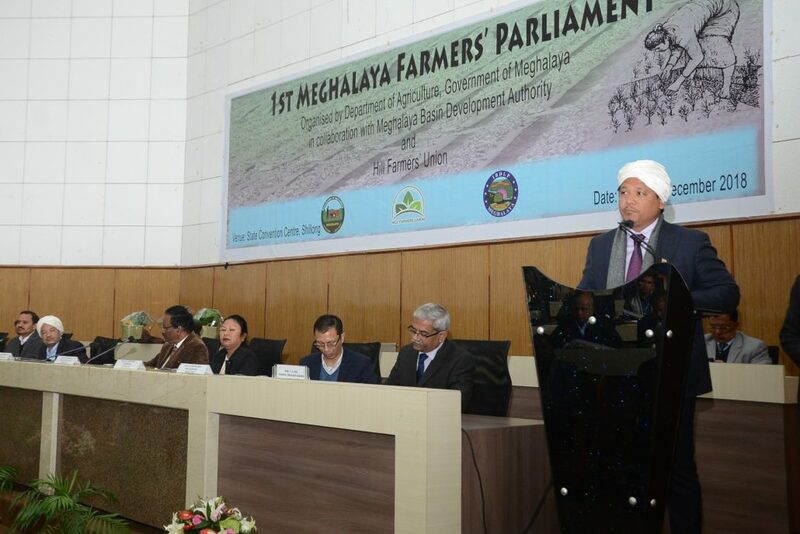 “Farmer’s Parliament is allowing the government officials and the policy makers to meet at a single platform to find out ways and measures to address the challenges affecting the farming community of Meghalaya,” said the Chief Minister at the first Farmers’ Parliament, organised by the Department of Agriculture in collaboration with Meghalaya Basin Development Agency and Hill Farmers’ Union. The state government will support farmers to develop their products and help them through buy back policies. “We encourage farmers to develop innovative value added products with assurance that government will be willing to support them in every possible manner,” the Chief Minister emphasised. The Chief Minister who had led a delegation to Sial Paris, the world’s biggest food innovation exhibition also informed the farmers that a food exhibition and business meet will be held in Meghalaya next year to provide a platform for business and technology transfer.